Hillwalk Tours Ltd are an Irish company based in Galway. They organise self-guided walking holidays in both Ireland and across the United Kingdom. 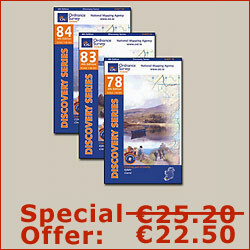 They offer the widest selection of packages on eight of Ireland's long-distance walking trails. 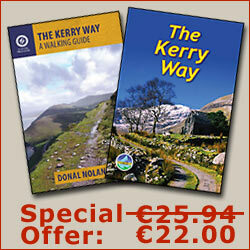 Hillwalk Tours offer a total of 11 different itineraries for the Kerry Way. The packages are graded in terms of length walking each day and the amount of days walking the trail. The Gentle Hiking grade covers an average daily distance of 13-16km over the course of 4-6 hours walking. The Moderate Hiking grade has an average daily time of 5-7 hours walking, covering a distance of 19-21km. The Challenging Hiking grade has an average daily distance of 26-30km over a timespan of around 5-8 hours each day.